Working with the EM Office of River Protection (ORP) and Bechtel National Inc. (BNI), the Porvair team developed a first-of-a-kind high-efficiency particulate air (HEPA) filter for use in the Hanford plant in Richland, Washington. Porvair Filtration Group, who have been working on the project since 2013, have developed a filter which is not only five times stronger than a standard HEPA filter, but it also meets or exceeds the requirements of both ASME AG-1 code and the Vitrification Plant environmental conditions. The filter helps give greater protection to the environment and the public during operations. The WTP, which is currently under construction by Bechtel in the US, will use the filter across the plant’s three nuclear processing facilities; Pre-treatment, Low-Activity Waste (LAW), and High-Level Waste. The ability to filter harmful particles and contaminants from ventilation and off-gas systems make HEPA filters critical to the nuclear industry. The filters engineered by the Porvair team were developed after initial testing on standard filters used across the nuclear industry showed they were inadequate to handle the plant’s stringent demands. During this development process, the team introduced several new technologies, one of which is now under patent review. Due to the innovative ideas and development of the filter, Porvair was recognised by Bechtel Inc. at its prestigious annual Supply Chain Recognition Awards last year. 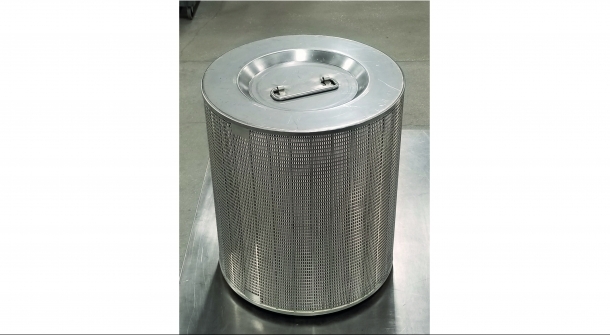 Porvair Filtration Group achieved the distinction of being the only supplier to develop a filter that could meet the stringent technical challenges of the ASME AG-1 specification. Bechtel regarded this as one of the most challenging technical barriers to completing the WTP project.